This is a provisonal title for the Bodleian’s centenary exhibition in 2014 which will be centred on the lives of eight (possibly more) Oxford alumni, using their letters and diaries to find new perspectives on the Great War. Edmund Blunden, alumnus of Queen’s College, has inspired the exhibtion title. ‘Daring the huge dark’ is from his poem Flanders Now. I think it conveys something of the foreboding with which individuals, and the nation, entered unfathomed depths, and yet ‘daring’ reminds us of the courage needed by ordinary men and women to endure. 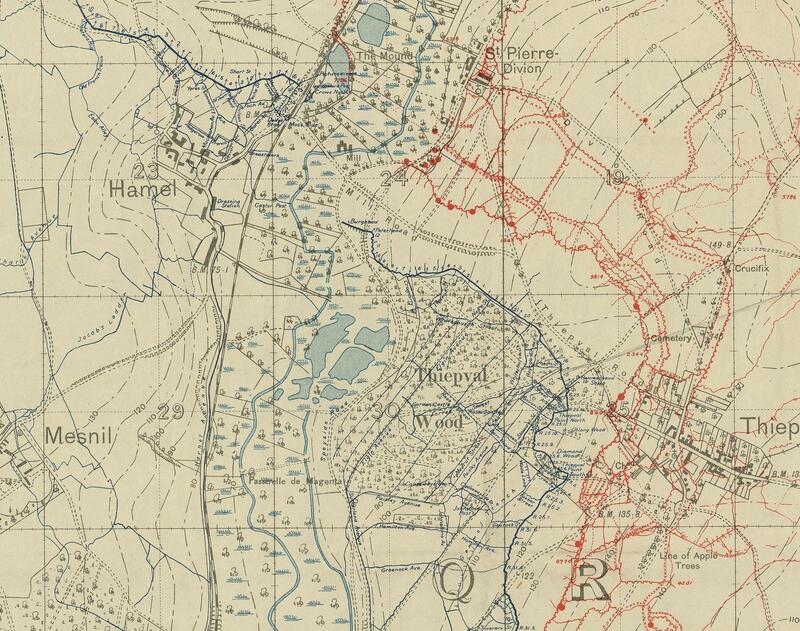 The image below is a detail from a trench map in the Bodleian Library drawn up just before the Somme offensive began, and shows the proximity of the British (blue) and the German (red) lines around Thiepval. 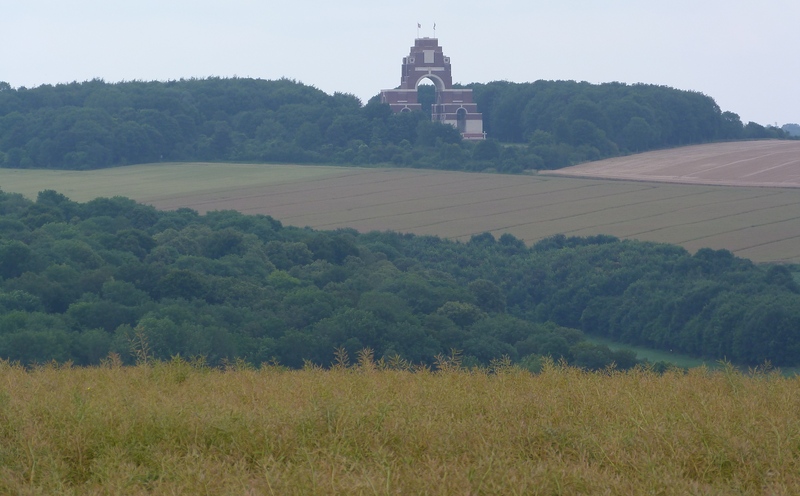 The above photograph was taken from the fork in the road just north east of Mesnil, looking across to Thiepval village, with Thiepval Wood in the middle distance. Thiepval Memorial stands about 200 metres south-east of the chateau marked ‘CH’ on the trench map on the western edge of the village. ‘Jacob’s Ladder’ can be seen running between Mesnil and Hamel.